IEEE is the world’s largest technical professional organization dedicated to advancing technology for the benefit of humanity. IEEE's core purpose is to foster technological innovation and excellence for the benefit of humanity. IEEE membership offers access to technical innovation, cutting-edge information, networking opportunities, and exclusive member benefits. Members support IEEE's mission to advance technology for humanity and the profession, while memberships build a platform to introduce careers in technology to students around the world. 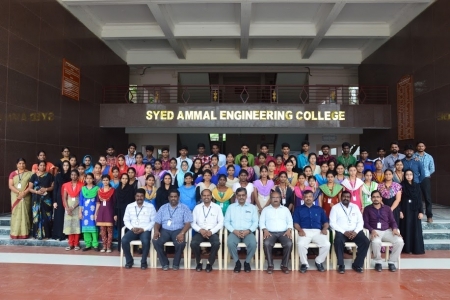 The IEEE student branch of Syed Ammal Engineering College started out as the premier international club in our college in 2002, and has since gone from strength to strength. 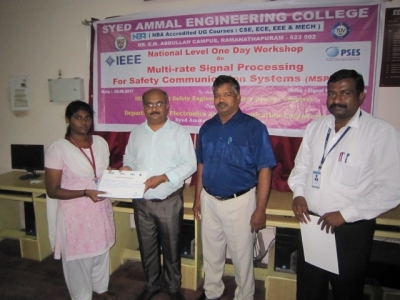 Our Students branch is affiliated to IEEE Madras Section and Region 10. 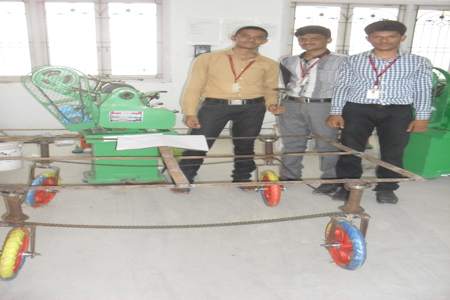 Its main effort in our college is to give its members an edge, and expose them to the cutting edge of technology. As a significant contribution to the IEEE community, our college has successfully organized four IEEE conferences in the year 2010, 2012, 2014 and 2016. 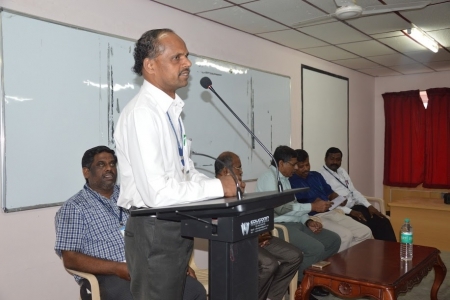 Authors from various part of the India and other countries have taken part in these conferences and appreciated the efforts taken by our students branch to conduct such a wonderful conferences in the southern part of the Tamilnadu. 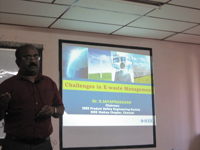 The papers presented in these conferences were published in the IEEE Xplore digital library. 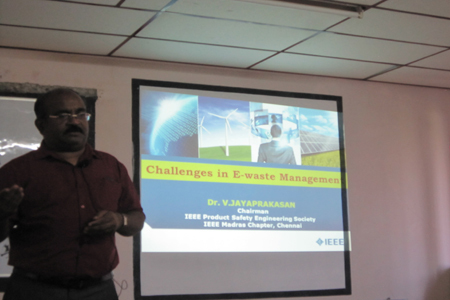 Seminars on recent technologies are conducted as part of the activities of IEEE students chapter. 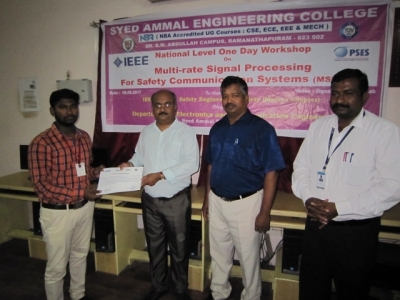 The Institution of Electronics and Telecommunication Engineers (IETE) is India's leading recognised professional society devoted to the advancement of Science and Technology of Electronics, Telecommunication & IT. Founded in 1953. The IETE is the National Apex Professional body of Electronics and Telecommunication, Computer Science and IT Professionals. It serves more than 1,25,000 members (including Corporate, Student and ISF members) through various 64 Centres, spread all over India and abroad. The Institution provides leadership in Scientific and Technical areas of direct importance to the national development and economy. Government of India has recognised IETE as a Scientific and Industrial Research Organization (SIRO) and also notified as an educational Institution of national eminence. The objectives of IETE focus on advancing electro-technology. The IETE conducts and sponsors technical meetings, conferences, symposia, and exhibitions all over India, publishes technical journals and provides continuing education as well as career advancement opportunities to its members. The IETE focuses on advancement of the Science and Technology of Electronics, Telecommunication, Computers, Information Technology and related areas. 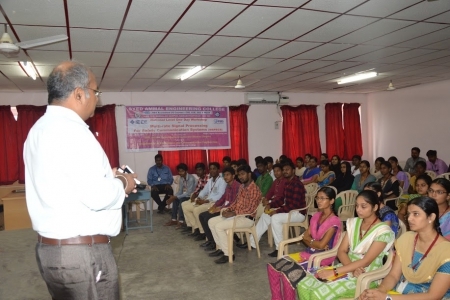 Towards this end the Institution promotes and conducts basic engineering and continuing technical education programmes for human resource development. 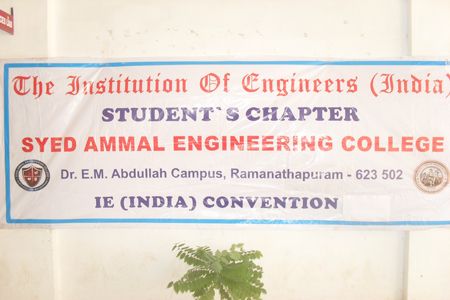 Currently, we have IETE students chapter in our college with the membership strength of 102 students from III ECE and 55 students from III ECE. 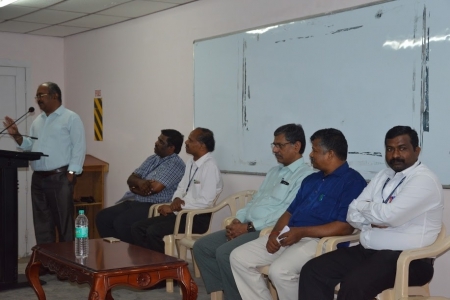 Plans are on the anvil to conduct more number of technical programmes for the benefit of students and faculty members. 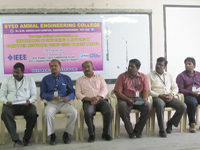 Twelve faculty members of ECE and EEE department are life members of IETE. Established in the year 1968, the Indian Society for Technical Education (ISTE) is the leading National Professional non-profit making Society for the Technical Education System in our country with the motto of Career Development of Teachers and Personality Development of Students and overall development of our Technical Education System. 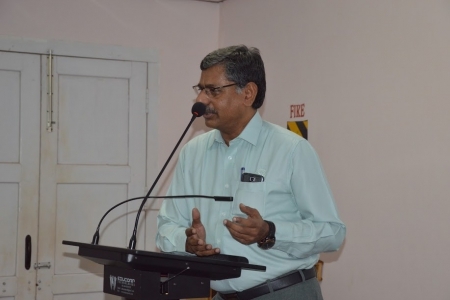 At present, ISTE has a very large and an effective membership base consisting of more than 1,02,985 Life Members, 5,54,094 Student Members, 2410 Institutional Members (including IITs, IISc.., NITs and other leading technical institutions), 1214 Faculty Chapters and 1322 Students’ Chapters and 17 Sections throughout the country. 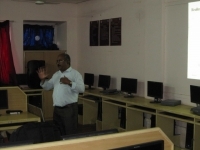 The major objective of the ISTE is to provide quality training programmes to teachers and administrators of technical institutions to update their knowledge and skills in their fields of activity and to assist and contribute in the production and development of top quality professional engineers and technicians needed by the industry and other organisations. In our college, ISTE Students Chapter was started in the year 2008. The main aim of ISTE is to assist and contribute in the production and development of top quality professional engineers and technocrats needed by industries and other organizations. 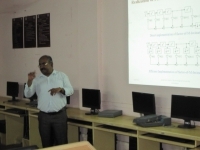 In the name of ISTE, activities such as seminars, workshops, conferences and project presentation are conducted at national and international level. In every year, the project competition is being conducted by the ISTE Students Chapter for III year students to develop their practical knowledge and their presentation skills. 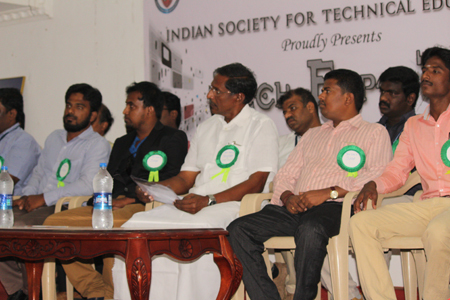 In the year 2016, the project competition was conducted on 15th march in the name of TECH EXPO 2016 where our students have presented 147 projects from various departments. Out of all the projects presented, the best 3 projects were selected from each department and awarded with cash prizes. 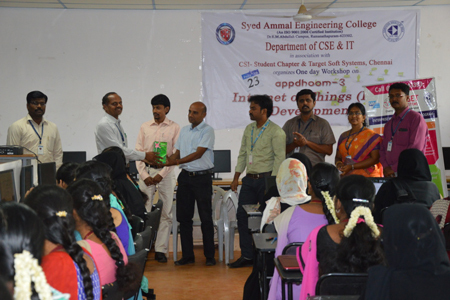 Nearly, 25 students from our ISTE student chapter have presented their project work in various colleges. Among them, 14 students got prizes and cash awards. In order to encourage professional competence, ISTE introduces some of the awards, like ISTE Best Section award, ISTE Best Student award and ISTE Best Chapter award. For the last 4 years, our students have been receiving best student award continuously, In 2016, Our student Ms. U. UMANANDHINI of final year CIVIL, received the best student award in the ISTE Students Chapter Program held in Anand Institute of Technology, Chennai. In 2016, 280 students and 9 faculty members joined as members in ISTE Student Chapter. 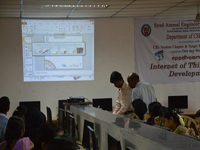 The seed for the Computer Society of India (CSI) was first shown in the year 1965 with a handful of IT enthusiasts who were a computer user group and felt the need to organize their activities. 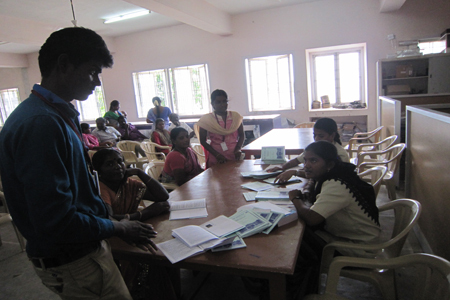 They also wanted to share their knowledge and exchange ideas on what they felt was a fast emerging sector. Today the CSI takes pride in being the largest and most professionally managed association of and for IT professionals in India. The purposes of the Society are scientific and educational directed towards the advancement of the theory and practice of computer science and IT. The organisation has grown to an enviable size of 100,000 strong members consisting of professionals with varied backgrounds including Software developers, Scientists, Academicians, Project Managers, CIO's , CTO's & IT vendors to just name a few. It has spread its branches all over the country. Currently having more than 500 student branches and rooted firmly at 73 different locations, CSI has plans of opening many more chapters & activity centers in smaller towns and cities of the country. The idea is to spread the knowledge, and provide opportunities to as many interested as possible. Keeping in mind the interest of the IT professionals & computer users CSI works towards making the profession an area of choice amongst all sections of the society. The promotion of Information Technology as a profession is the top priority of CSI today. 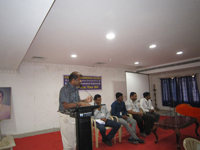 To fulfill this objective, the CSI regularly organizes conferences, conventions, lectures, projects, awards. And at the same time it also ensures that regular training and skill updating are organised for the IT professionals. 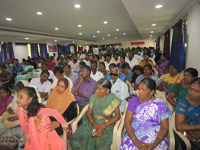 Education Directorate, CSI helps physically challenged citizens by providing training 'Punarjani'. CSI also works towards a global approach, by seeking out alliances with organizations overseas who may be willing to come forward and participate in such activities. CSI also helps governments in formulating IT strategy & planning. Being closely associated with Students the Society has developed a well-established net-work of "Student Branches" all across the country. CSI has 488 student branches with more than 90,000 Student Volunteers across the nation. 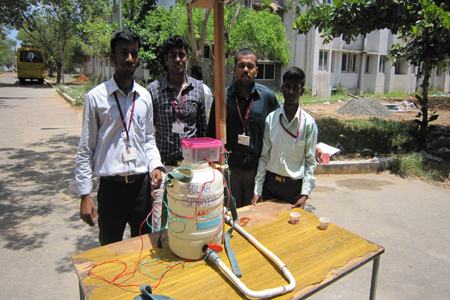 The activities conducted for the Students associated with the Society include lecture meetings, seminars, conferences, training programmes, programming contests and practical visits to installations. 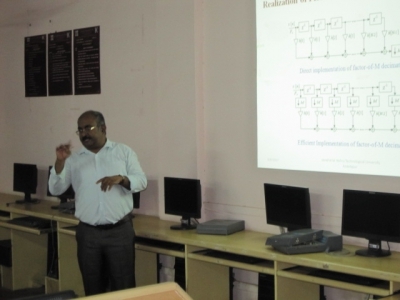 CSI has a strong Educational Directorate based at Chennai which undertakes activities related to Certification of professionals related to the latest technologies. Its recent initiative of distance education in the Business Domain areas offers technology enabled learning supported by personal counseling & expert advice. In an ever changing environment, CSI offers professional counseling being a great need of the hour. And this is done by being in close contact with its young members through various events, conferences, symposia to name a few. 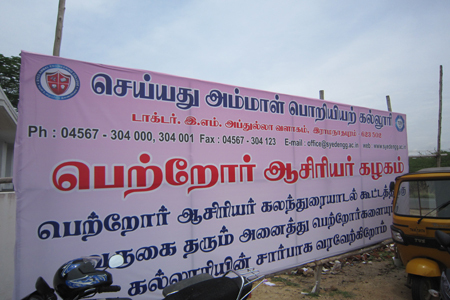 In our college, the CSI student chapter was started in the year 2008 with the current membership strength of128. 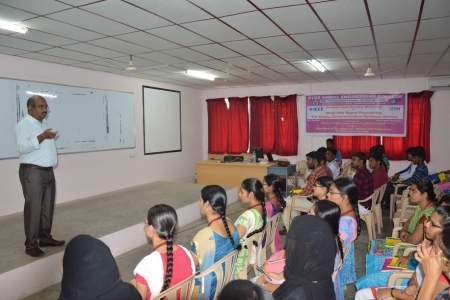 In order to meet the objectives of CSI, the student chapter regularly organizes technical events like symposiums, technical conventions, workshops, quiz programmes and seminars. Members took part in these competitions actively and winners of these competitions are rewarded with cash prizes and certificates. The Institution of Engineers India (IEI) is the national organization of engineers in India, established in 1920 in Kolkata, West Bengal. It has more than one million members in its 15 engineering disciplines across 125 centers and chapters located in India and around the world. It is the world's largest multi-disciplinary engineering professional society in the world, and acclaimed to have pioneered non-formal education in engineering. The Institution of Engineers India was incorporated by Royal Charter in 1935. It is currently headquartered in 8 Gokhale Road, Kolkata. The branches of this organization gradually began spreading across the country, leading to the birth of local institutions. Technical operations were established in 1944, with four large departments: Civil, Mechanical, Electrical, and General Engineering. It celebrated its silver jubilee in 1945 in Calcutta. In 1947, four new centres opened: Mdhyprant, Sindh, Balochistan and Tiruwankur. Harold Williams served as President for a period in the 1950s. The institution celebrated its Golden Jubilee at Calcutta, inaugurated by Mrs Indira Gandhi. The Institution obtained the full membership of the Engineers Mobility Forum (EMF) at the Bi-annual International Engineers Meetings 2009 held at Kyoto, Japan on 17 June 2009. 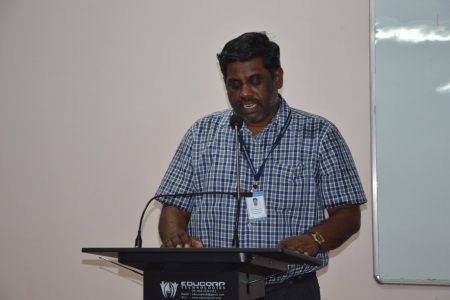 Dr. L V Muralikrishna Reddy, FIE, Int. 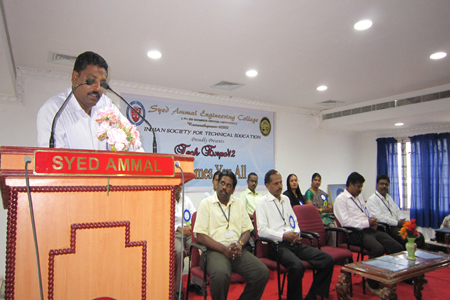 PE, CEng (UK) is the youngest President and assumed office at the Annual General Meeting held at Hyderabad on 21 December 2014. The students and staff chapter of IEI was started in our college in the year 2014. There are totally 721 students and 15 staff members become the members of this society. Our college was also the institutional member of IEI. 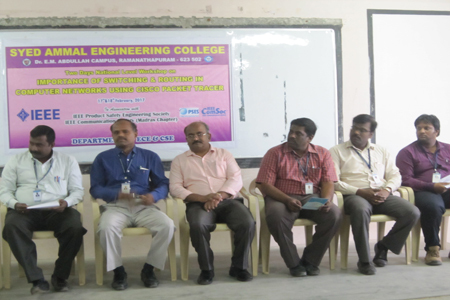 In order to promote technical knowledge among the students, various technical events such as project expo, paper presentation, quiz programmes and model making. 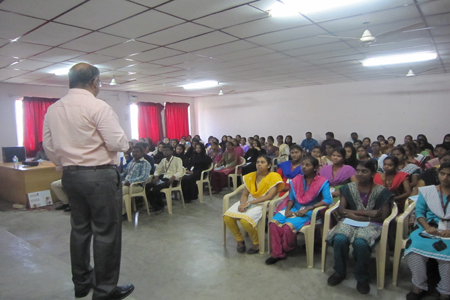 To redress the grievances of the parents and students, every year, we conduct parents and teachers Association Meeting. Large number of parents attended these meetings and expressed their views and suggestions. The suggestions and views expressed by the parents will be brought to the knowledge of Principal and Correspondent for immediate action. This will make the relationship between students, their parents and college becomes cordial and cooperative. For every 22 students, one faculty member is appointed as staff counselor. 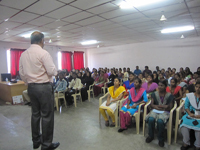 The staff counselor periodically meets the students concerned to know their problems regarding academic, college facilities, hostel facilities and personal needs & problems. The counselor reports the student’s problem to the HOD concerned and it is brought to the knowledge of Principal and Correspondent for necessary action. It causes smooth relation between students and staff members.